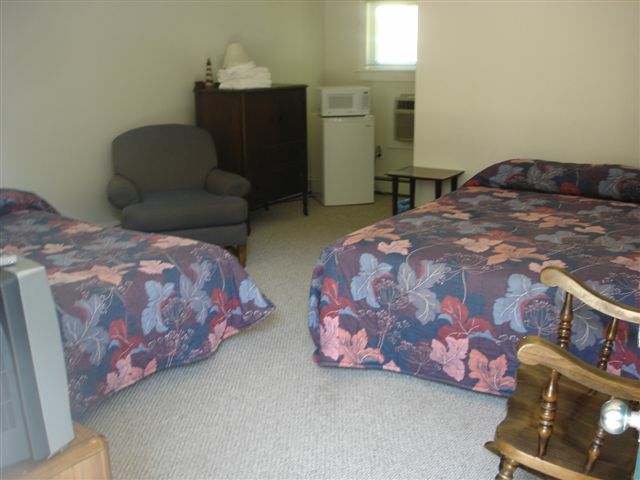 Most of our motel rooms have been refurbished and are very comfortable. All rooms have air conditioning, TV, a microwave, refrigerator, a full or half bath, wireless internet and can sleep 2 to 5 people. The 4 motels units are also heated so they are available for you year round. Smoking and nonsmoking rooms are available, so call now and reserve a room anytime in the heart of the Lakes Region.